Foam heat transfer stickers are for garments. Compare to other transfer stickers it will getting little thickness. And it will also looks more shiny bcs its having glitter effect. 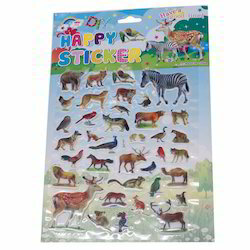 These A4 Plastic Foam Sticker can be availed in multiple designs and is ideal for every age group. Aimed at a prosperous growth in this domain, we are instrumental in offering an excellent quality range of Colourful Star Foam Sticker. We have gained a remarkable position in the market that is involved in an offering Craft Foam Sticker.